It is so hot here right now that cooking is out of the question. 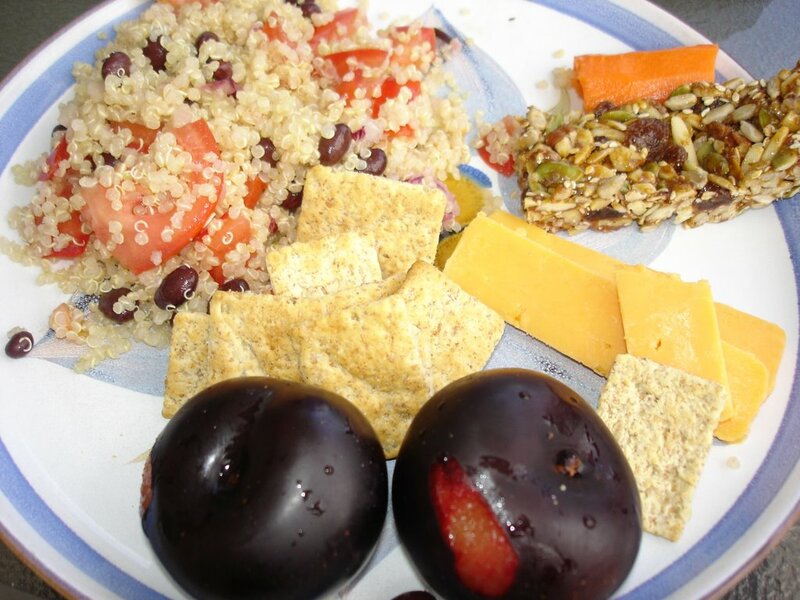 This morning I cooked up some quinoa so that I could make a quinoa salad. It was really simple... basically olive oil and lemon juice... so it was also really refreshing. 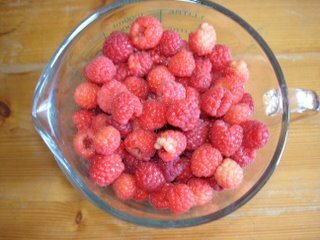 Good news too... we picked enough raspberries today to make a pie. A raspberry pie takes 4 cups and as you can see we got 'em ! Raspberry pie!!! I'm dying inside! I wish I could come over and join you! Oh Megan, I wish you could too! You are of course welcome any time... we probably live fairly close.... although I live out on the east - in the suburbs...guess it depends on if you have car! You picked raspberries today? It was the hottest day so far! You are certainly brave. Seeing your berries though, leads me to believe that it was probably worth it. Gorgeous berries. And i love plums. So pretty on the plate with everything else. Well, the raspberry bush in our backyard is right next to our pool, so we picked and dipped! LOL! Thanks kleopatra... the plums were yummy too....I love summer food.